The Jornada Information Management System provides the infrastructure for the curation, protection, access, and analysis of Jornada Basin LTER data holdings. Our mission is to protect and provide access to publically funded research data, tools, and findings that result from Jornada Basin LTER research and associated collaborations. 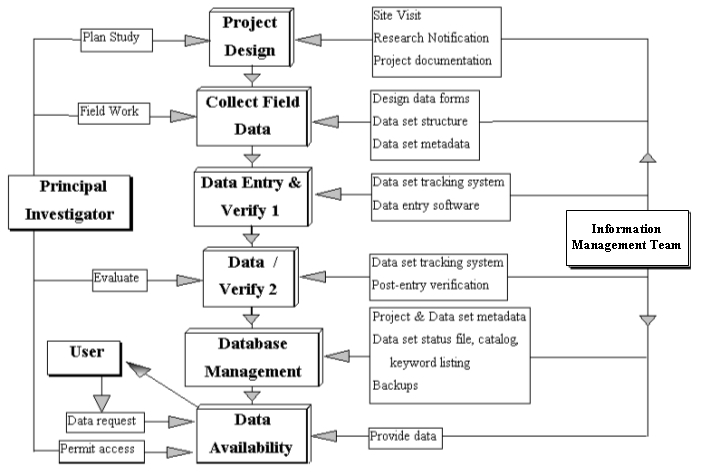 Our data management process encourages frequent interaction between information management staff and scientists to efficiently process and integrate data and associated metadata into our system. For more information about our data management system, refer to the Jornada Basin LTER Data Policies and Data Management Plan.